3 Days in the Smoky Mountains - Top Ten Travel Blog | Our experiences traveling throughout the US. Gorgeous mountain views, a festive lineup of entertaining shows, a vibrant downtown, and Tennessee’s only ski resort…there is no better fall/winter getaway than a trip to Tennessee’s beautiful Smoky Mountains region. A trip during the scenic fall season offers the perfect opportunity to photograph the colors of the season, enjoy hikes to local waterfalls, take scenic drives through the Smoky Mountains National Park, and enjoy various adventure sports like whitewater rafting and ziplining. Surprisingly, a winter visit is when the area really comes alive, whether it’s special holiday themed events, festive Christmas decorated cabins, or special seasonal productions. It’s also a great time to visit Dollywood, which is known to host one of the biggest holiday light displays in the country. 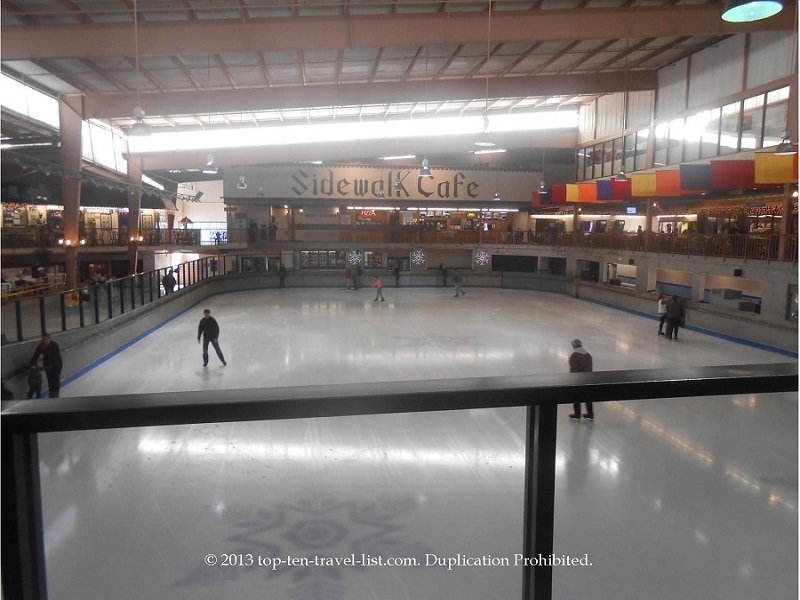 In addition, you can enjoy all different types of winter sports (skiing, ice skating, and sledding) at Ober Gatlinburg, Tennessee’s only ski resort. 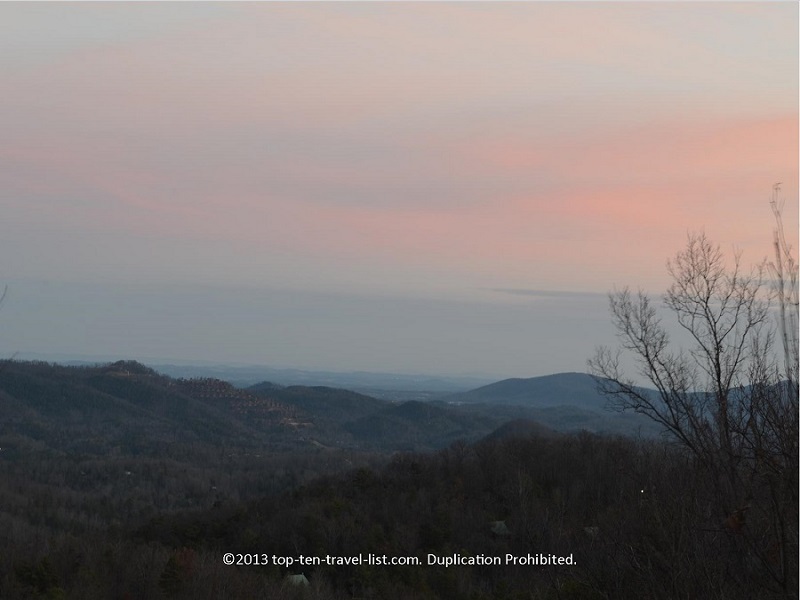 Below I have organized a great itinerary for a 3 day winter getaway in the Smoky Mountains. You will find a fantastic combination of relaxing and entertaining activities to enjoy on your getaway. 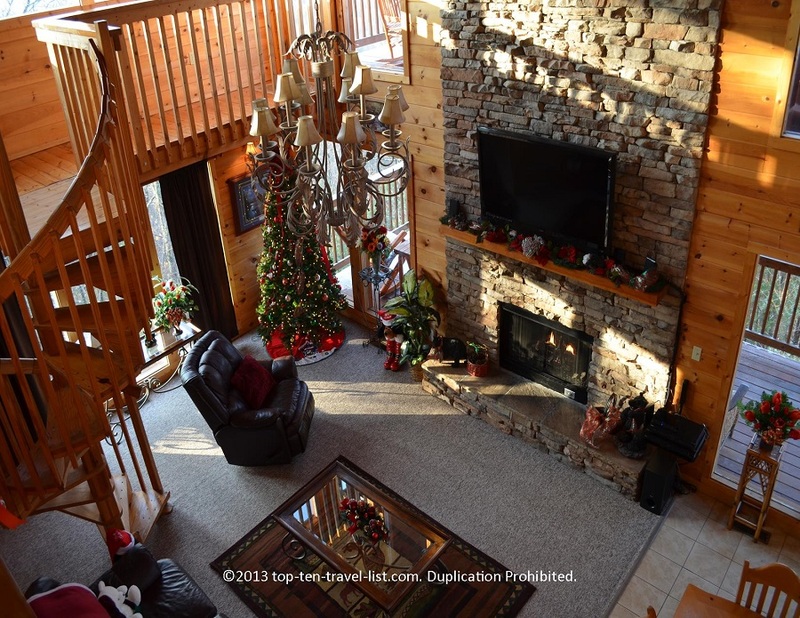 4:00pm – Check into your luxury Timber Tops cabin rental. 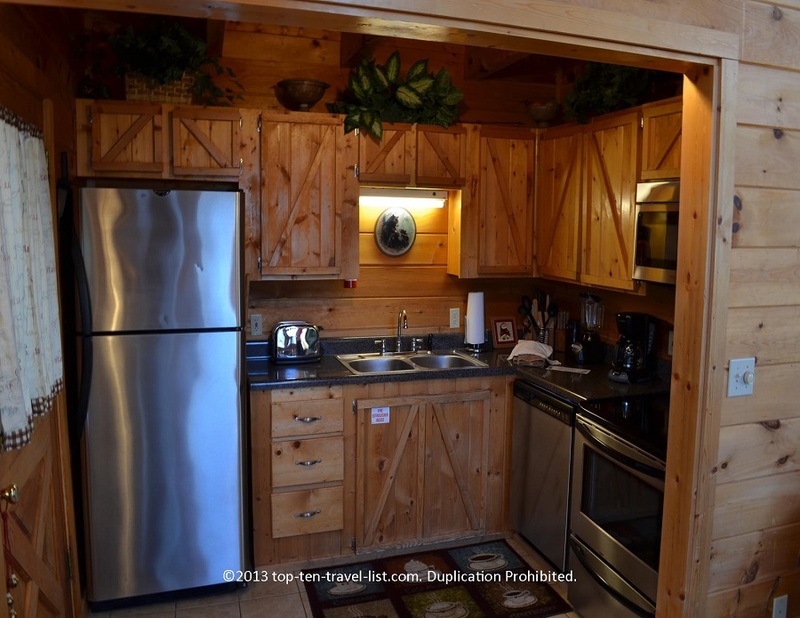 Life’s a Bear, a 1 bedroom, 2 bath that sleeps up to 4 is a perfect option for couples and small families looking for a secluded, cozy getaway in the woods. Timber Tops has a number of great affordable rentals, including budget friendly and pet friendly options. 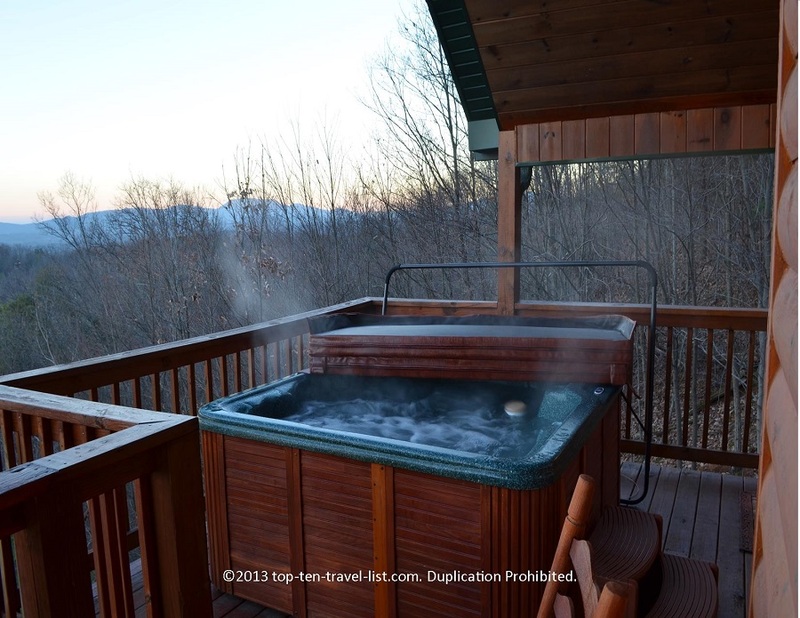 Life’s a Bear is a great moderate choice with plenty of desirable amenities including: 2 beautiful decks overlooking the woods and mountains, an outdoor hot tub, a full size kitchen, seasonal Christmas decor, and a pool table. Scenic views, entertainment, and relaxation all rolled into one! 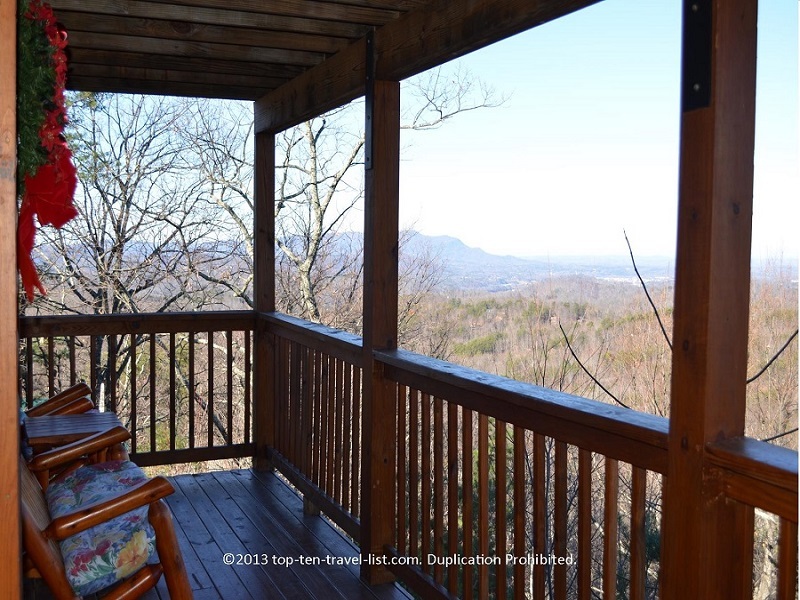 5:00pm – Take some time to relax, recover, and enjoy the gorgeous views of the mountains from your luxury cabin rental. Relaxing in the hot tub surrounded by the forests is the perfect treat after your drive/flight. 7:00pm – Head over to The Pigeon Forge Parkway for a night of food, shopping, and fun. Hard Rock Cafe is a fun touristy choice with friendly service, fun food, authentic memorabilia, and a great rock n’ roll soundtrack. Afterwards, you can take a ride on the Pigeon Forge trolley to get around to all the different attractions and shops on this fun-filled 5 mile strip. 8:00am – Make a hearty breakfast at your cabin before heading out for a day of fun-filled, yet exhausting winter activities. This is where your fully equipped kitchen really comes in handy! You have all the essentials you need for cooking anything you could imagine and a dishwasher so you do not have to work on your vacation! Enjoy a great breakfast while surrounded by the picturesque views of the mountains. 10:00am – Head over to Ober Gatlinburg for a day of skiing, ice skating, and/or sledding. 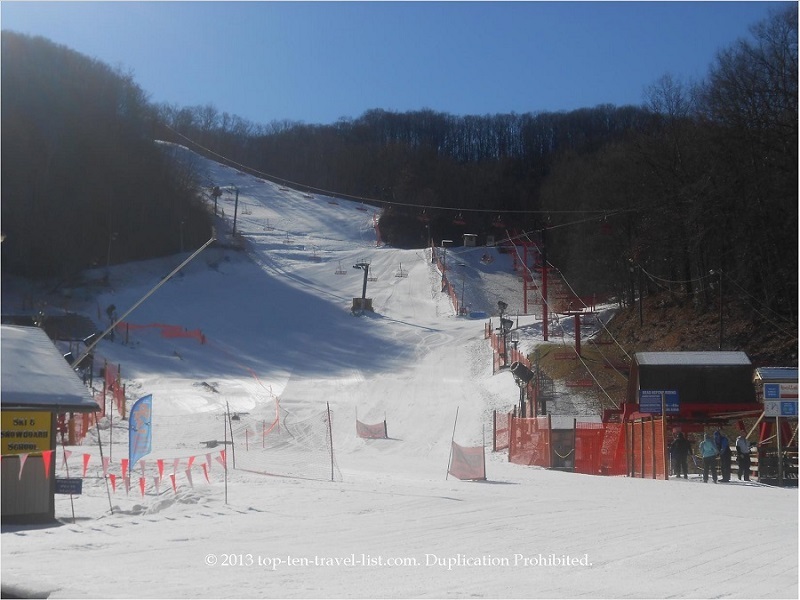 Tennessee’s only ski resort features 9 different trails with 100% snowmaking, varying in range from beginner to more advanced. Snow tubing is an excellent alternative for those who don’t ski. Year round indoor ice skating on the huge 140 by 75 foot rink is the ideal winter activity for kids of all ages. Noon – Take a break from all your winter fun and grab a bit to eat at Seasons of Ober or The Lodge Loft, both conveniently located at the resort. If you want something more casual and quick, you can grab a small bite at one of the following 3 casual choices: The Sidewalk Cafe, The Market, and the Snack Bar. After lunch, take some time to look around the shops. Here you can pick up souvenirs, winter sports equipment, and small gifts. 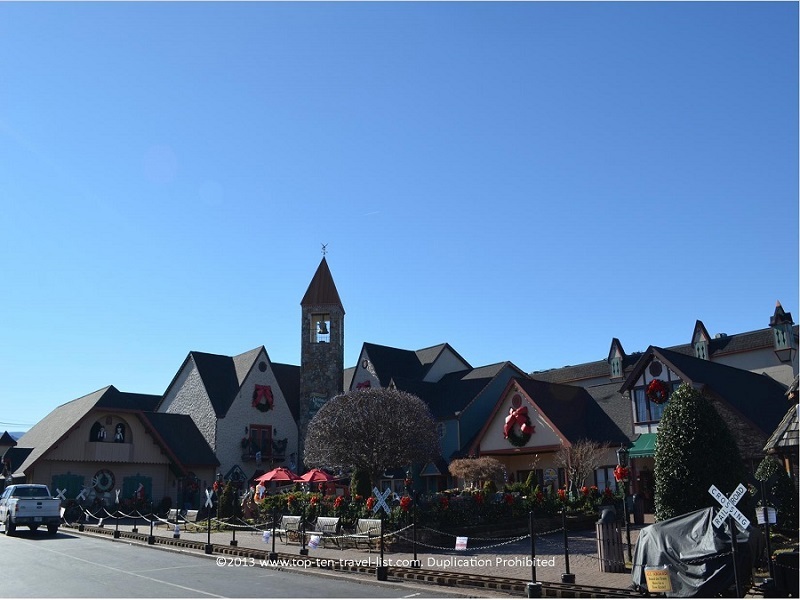 2:00pm – Enjoy the rest of the afternoon engaging in the many different winter activities offered at Ober Gatlinburg. Ice skating this time of year is especially memorable, when accompanied by holiday music and decor. 4:00pm – Head back to the cabin for a little R&R. While skiing and ice skating are fun, they also double as fantastic workouts! You will likely be tired and sore, so relaxing by your cozy cabin fireplace will be a real treat. 6:00pm – Reserve your tickets for the 8:30pm Winter Magic Trolley Ride of Lights. Drive into Gatlinburg for a nice dinner before your tour. Dinner followed by a trolley ride is the perfect relaxing idea after your long day out at Ober Gatlinburg. Check out The Peddler Steakhouse, which features an attractive rustic setting, great views of the river, and a varied menu including an enormous salad bar. 8:00pm – Take a fun-filled festive ride along Galtinburg’s Annual Winter Trolley Ride of Lights. During this hilarious narrated tour, you will be treated to great views of the bright lights and displays set up on the city’s Parkway Avenue and surrounding areas. A festive, memorable holiday event that everyone will enjoy! 8:00am – Stop by the Log Cabin Pancake House in Pigeon Forge for a hearty breakfast. This popular local and tourist’s favorite offers a grand selection of breakfast favorites such as: pancakes, omelettes, and waffles. Here you will find many unique variations on traditional pancakes: Log Cabin Walnut pancakes, Cherry Supreme Special, and Wild Blueberry Pancakes to name a few. Breakfast servings are enormous, service is friendly, and the cozy dining room offers an attractive country casual setting. 10:00am – While you are in Pigeon Forge, be sure to check out The Incredible Christmas Place Store, the largest Christmas shop in the South. Holiday fanatics will enjoy browsing through an unending collection of holiday ornaments, seasonal decor, and gift ideas. The shop itself is stunning – over 60 beautifully decorated Christmas trees and several miniature holiday village displays will keep you in awe for hours. Noon – Since you are already in Pigeon Forge, you might as well have lunch in the area. The Old Mill Pottery House Cafe and Smoky Mountain Brewery are 2 good choices. If you are looking more for an unlimited lunch type deal, there are plenty of popular chains in the area. Johnny Carino’s offers one of the best lunch specials: unlimited soup (minestrone or creamy baked potato), salad (Caesar or House), and delicious rosemary bread. 2:00pm– Head over to Ober Gatlinburg again, this time for the scenic aerial tramway ride or chairlift ride. The 2 mile journey up the mountain is incredible scenic, especially if there is enough snow. 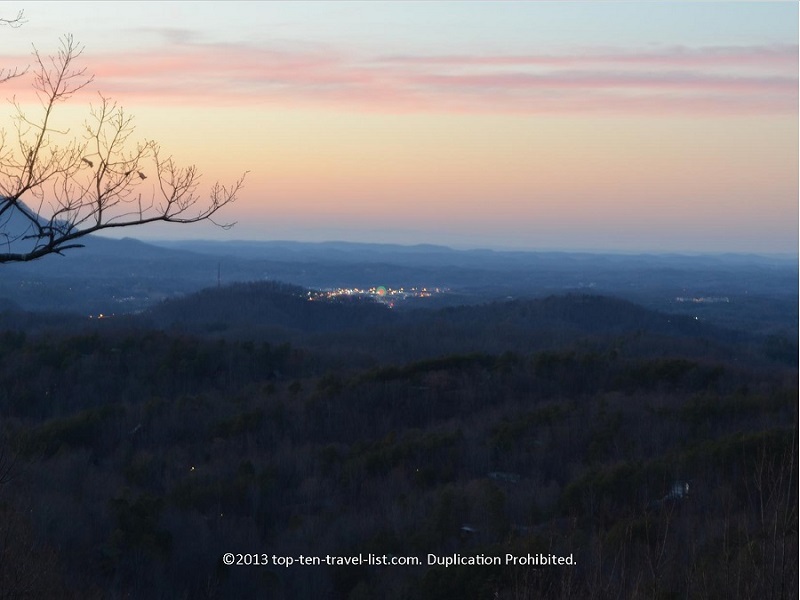 Get ready for incredible views of the Smokies – you will want to bring your camera! 4:00pm – Drive back to the cabin and relax a bit before heading out for your last night. Pick out your desired 2 for 1 attraction, complimentary of Timber Tops. You will be given a booklet and brochures to help you decide amongst the different options. You have your choice amongst several great shows and activities: Ripley’s Aquarium of the Smokies, Country Music Tonite, or Ripley’s Believe It or Not! Odditorium. 5:00pm – Make dinner at the cabin or head out to Gatlinburg pre-show/activity for an early dinner. Cherokee Grill and The Park Grill are 2 great choices. 7:00pm – Enjoy whatever activity you planned for the night. The 2 for 1 deal offered by Timber Tops really is a nice perk, especially if you have never seen a show in the area. If you have room in your schedule, you can use a ticket each day of your stay! 10:00pm – Return to your cabin. Pack up all your suitcases so your morning check out runs as smoothly as possible. After packing up, take some time to enjoy your amenities one more time. Relax with a game of pool, a soak in the hot tub, or a glass of wine by the fireplace! 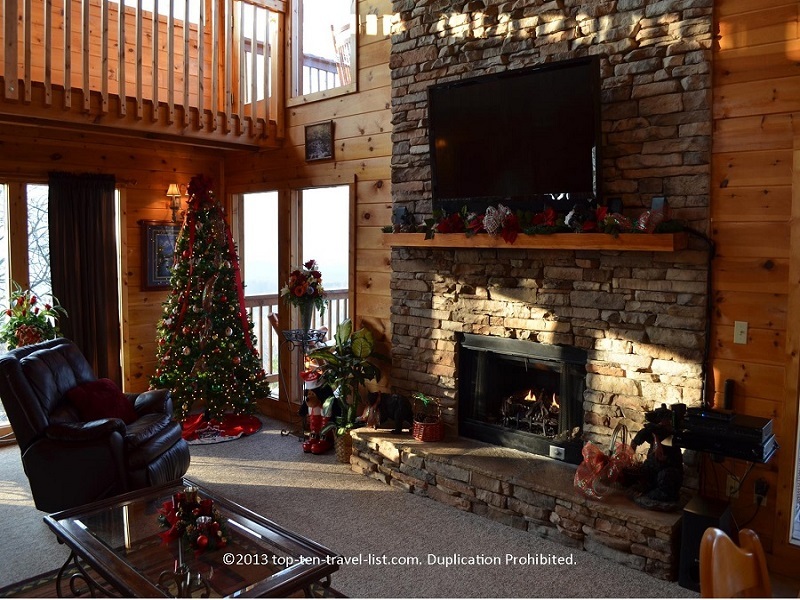 Timber Tops Luxury Cabin rentals check in office is located at: 1440 Upper Middle Creek Road, 204, Sevierville, TN 37876. You will receive detailed instructions on how to get to your rental upon checking in. 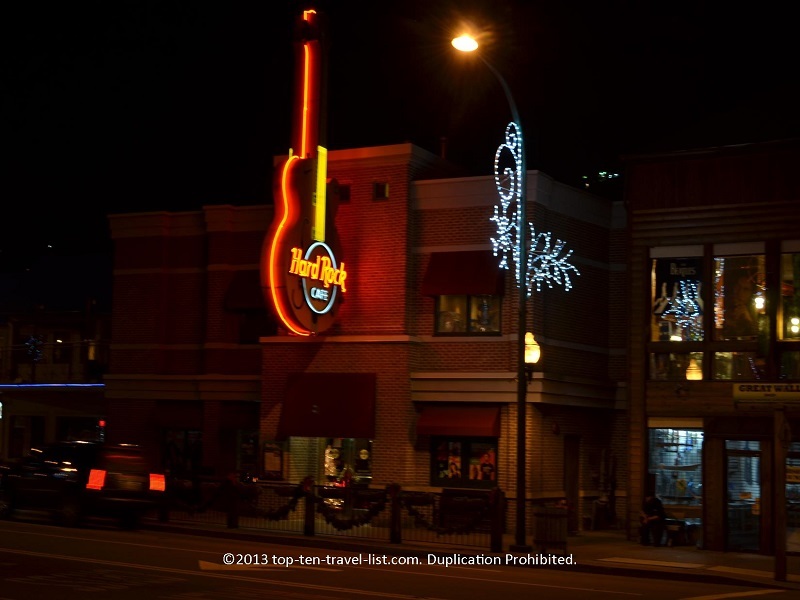 Hard Rock Cafe is located at: 2050 Parkway, Pigeon Forge, TN 37863 (the Gatlinburg location recently shut down. The new location is in neighboring Pigeon Forge). 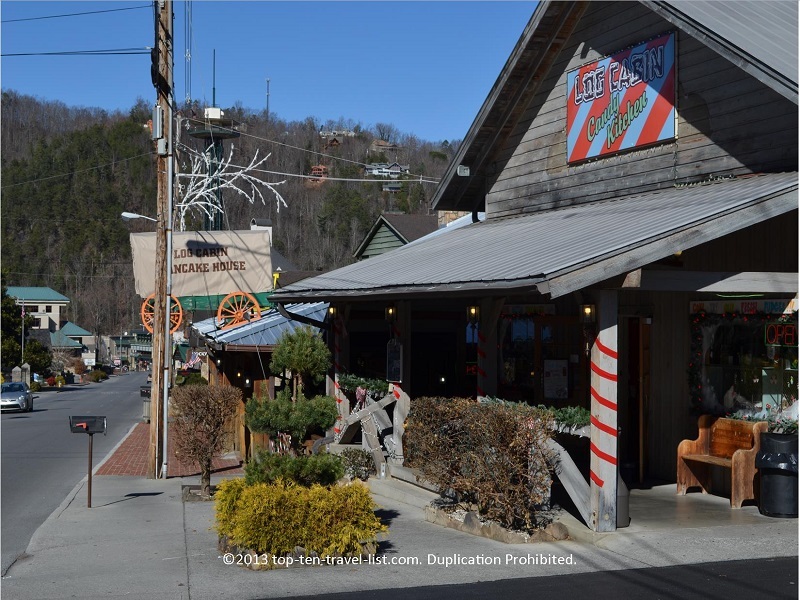 Ober Gatlinburg is located at: 1339 Ski Mountain Rd, Gatlinburg, TN 37738. For full pricing details and hours of operation, please visit the Ober Gatlinburg website. 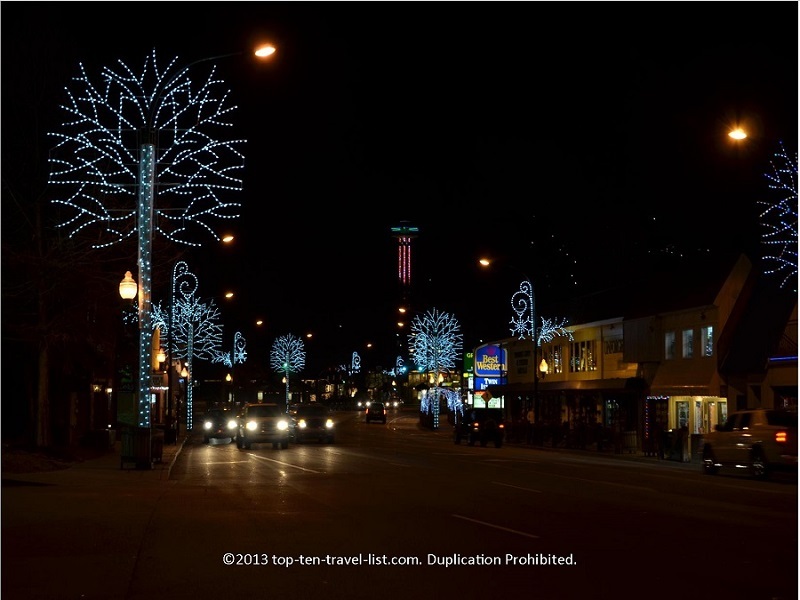 The Gatlinburg Winter Magic Trolley Ride of Lights starts operating in mid November and runs until the end of January. Admission is $5 per person. You will meet in downtown Gatlinburg for your tour. For more information on this year’s tours, please visit the Gatlinburg website. The Peddler Steakhouse is located at: 820 River Rd, Gatlinburg, TN 37738. The Log Cabin Pancake House is located at: 4235 Parkway, Pigeon Forge, TN 37863. The Incredible Christmas Place Store is located at: 2470 Parkway, Pigeon Forge, TN 37868. 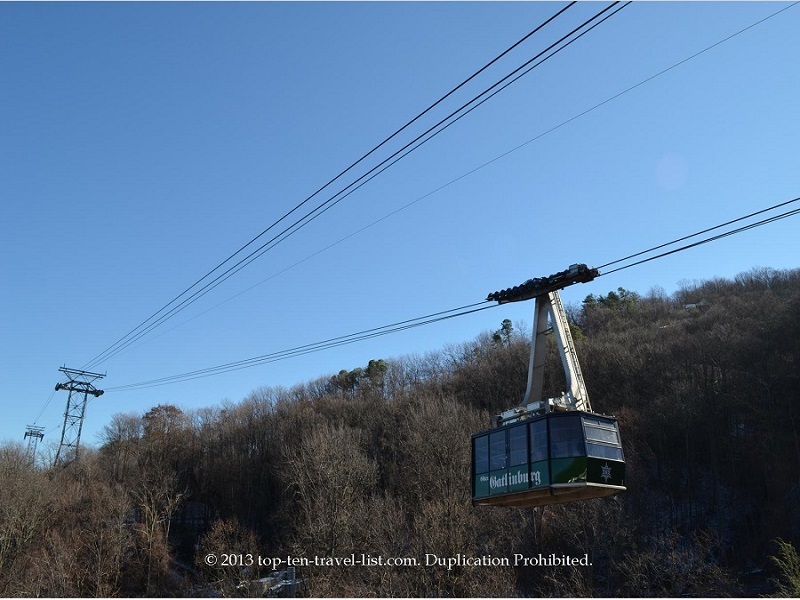 The Ober Gatlinburg Aerial Tram Ride is located at: 1339 Ski Mountain Road Gatlinburg, TN 37738. Adult tickets are $12 and children are $9.50. Visit the following website for more details, including hours.